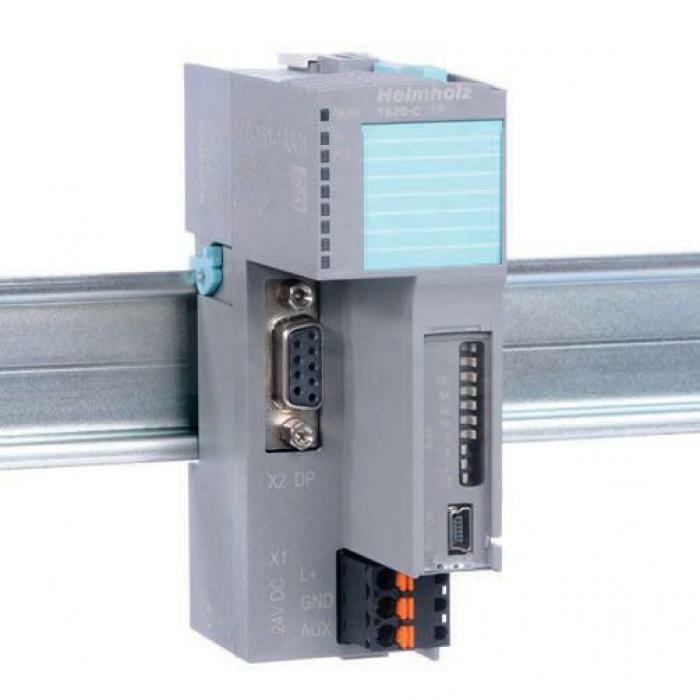 » Helmholz TB20-C, Bus Coupler PROFIBUS-DP Slave – Automate Control Engineering Ltd. The PROFIBUS-DP bus coupler is designed to connect a PROFIBUS fieldbus to TB20 peripheral modules. It supports protocols DP-V0 and DP-V1. A functioning TB20 configuration will always require a bus coupler and at least one peripheral module, but can accommodate up to 64 modules of any kind connected in series with the bus coupler. The PROFIBUS-DP bus coupler supports hot-swapping for replacing modules during operation. The bus coupler will recognize all connected peripheral modules and assign each module the corresponding inputs/outputs from the process image table.